Is there a better alternative to Action Themes for Keynote? 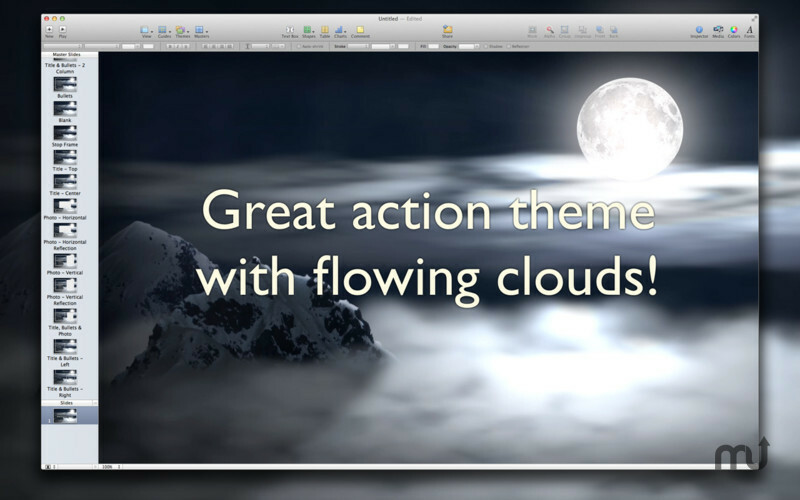 Is Action Themes for Keynote really the best app in Presentation Tools category? Will Action Themes for Keynote work good on macOS 10.13.4? 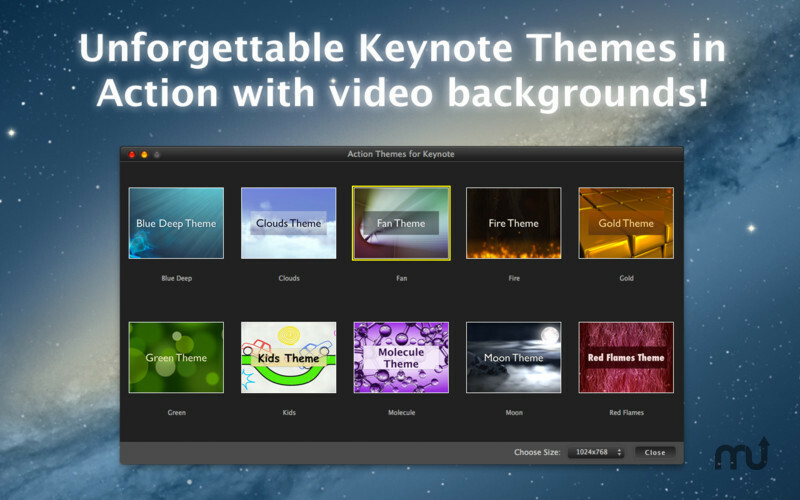 Action Themes for Keynote is a collection of Keynote Templates with animated backgrounds. 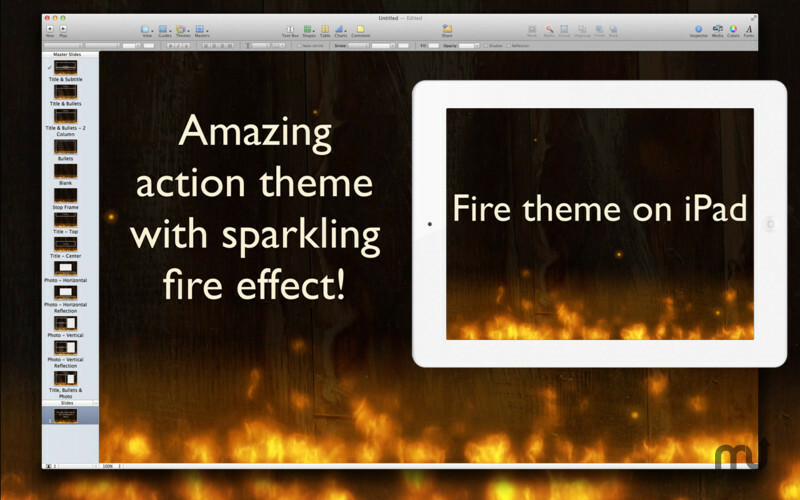 It will allow you to create extraordinary presentations with moving backgrounds that will truly amaze your audience. Action will not stop all the time during your presentation and will definitely please your crowd. 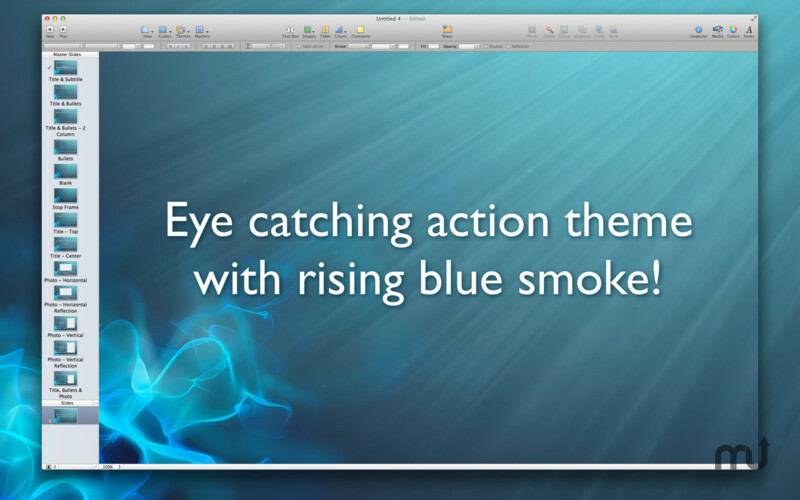 Every Keynote design with moving background is available in several sizes, including full HD of 1920x1080 pixels. So everyone will find the perfect size for widescreen displays (16:9, 16:10), iPad (4:3) and different projectors. 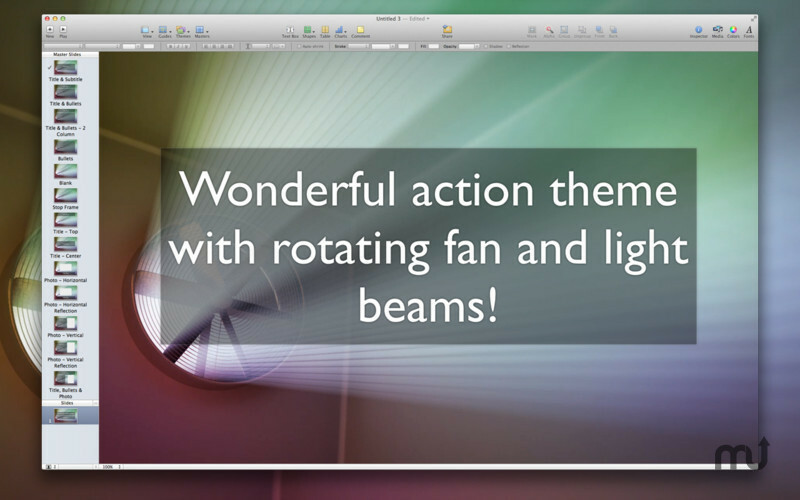 Action Themes for Keynote needs a review. Be the first to review this app and get the discussion started! With iCloud, it is also easy to keep your presentations up to date across all your devices, including iPhone, iPad and iPod Touch. So you can start your presentation with moving background on your Mac and access the most recent version on whatever device you happen to be using at the time.